Family’s health is family’s wealth. Keeping hands clean can save lives, teaching our kids and family members the importance of hand washing is the simplest and most cost effective way to stop and prevent the spread and transmission of infection. Germs accumulate on our hands as we touch surfaces, door knobs, elevator buttons, objects and people throughout the day. Children, most especially can easily be infected with these germs by touching their nose, mouth and eyes. We all know that it is impossible to keep a germs-free hand yet through frequent hand washing, it can limit the transfer of microbes, viruses and bacteria. Here is a list of guidelines on When to Wash Hands. After dusting and cleaning the house. 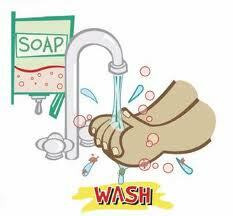 It is generally recommended to wash hands with soap and water. Just what the DOH (Department of Health) advises, to properly wash hands it takes about singing “Happy Birthday” twice.